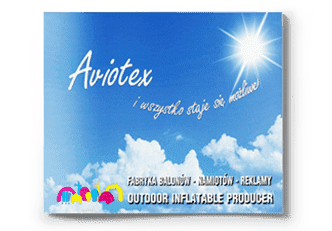 we are the biggest producer of balloons, advertising tents and inflatable gates in Poland and Europe. We offer products for tailor made meet requirments of our Customers. Please contact us. We are looking forward to cooperate with you. We offer products tailored to the individual needs. Years of experience - from 1922 r.
Our company continues many years’ traditions dating back to the year 1922. 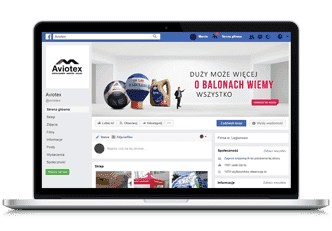 Currently, we are the biggest producer of balloons, advertising tents and inflatable gates in Poland and Europe. Our most important goal is to constantly adjust our products to the more and more demanding European Union market, which relates to meeting needs of out Customers, including the individual ones as well as companies and institutions. Your trust and our co-operation with the best Media Houses and Advertising Agencies give us a possibility of constant development, which has allowed us to replace our machinery park and hence the precision and pace of our production has increased even more. With many years of experience in heavy tailoring, professional staff and using very high quality materials, we are able to make any untypical model, in any shape as well as offer full colour range of our advertising products. Currently, we produce high quality, durable and modern inflatable advertising products, which will allow you to stand out in an original and modern way as well as attract customers’ attention to your company, brand or product.